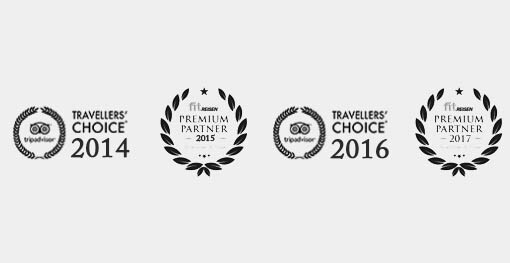 Welcome to The Privilege Ayurveda Resort. 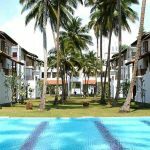 Sri Lanka’s most awarded Ayurveda resort by the beach that provides comfortable and caring settings for a peaceful Ayurveda treatment in Sri Lanka. Ayurveda packages to rejuvenate your mind and body to live healthier & longer life. 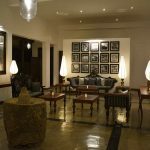 If you are stressed out and longing to get away to a private hideaway that offers caring and personalized authentic Ayurveda treatment amidst tranquil surroundings and luxurious settings, then The Privilege Ayurveda Resort in Sri Lanka is perfect for you. With a gorgeous colonial setting and palm fringed, fertilizer free garden with over a 100 types of trees that opens out directly to the beach and the breathtaking Indian Ocean, we offer our valued guests a distinct unique Ayurveda experience that combines the best of hospitality and Ayurveda care in Sri Lanka, for an unforgettable Ayurveda holiday. 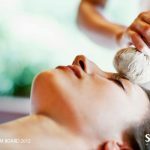 The healing hands of our trained Ayurveda team will ease away all your stresses and strains of your life during your Ayurveda holiday in Sri Lanka with us. 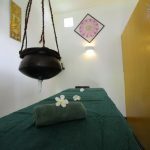 Our experienced, well-trained and qualified team of Ayurvedic professionals are uncompromisingly dedicated to the traditional principles of Ayurveda in Sri Lanka, and will take care of your body and mind with the best authentic Ayurveda treatments that are specifically tailored to suit your ailment. Relieve your stress and worries.Relax in luxurious comfort. 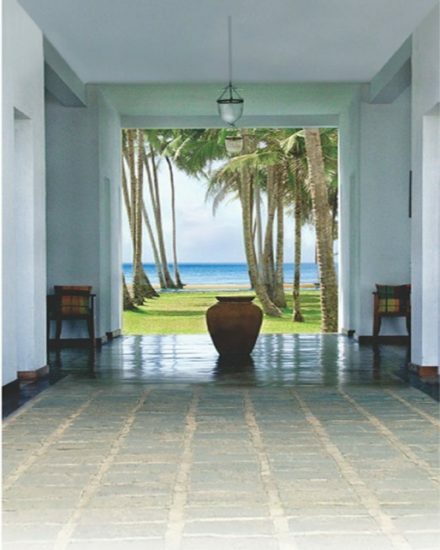 Rejuvenate in absolute peace and spend your holidays in Sri Lanka. The resort only caters to in house Ayurveda guest. Enjoy your Ayurveda stay with us at The Privilege Ayurveda Resort. 5 Reasons to book direct with us..
Wake up to nothing else but the sounds of waves crashing in and the birds singing in the morning, walk to the chemical free green lush garden and enjoy a fresh breath of air while our Indian qualified Yoga instructor waits to welcome you with a smile, practice Hatha yoga as the sun starts to shine on the golden sandy beach and beyond.Read more..
With our Ayurveda hotel ranked as one of the best Ayurveda hotels in Sri Lanka, it is the perfect destination for an Ayurveda holiday. The island is beautiful with thousands of kilometres of coastlines and tremendous scenic beauty. While you are on your Ayurveda holiday in Sri Lanka, you will be able to explore Sri Lanka’s scenic beauty, historic cities and towns that are home to several sacred temples and ancient palaces. 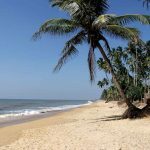 After your Ayurveda treatment in Sri Lanka, you are guaranteed to feel refreshed, relaxed and rejuvenated.Read more..
We have been spending two weeks with my whole family in this wonderful resort and have to say: It was perfect! Every evening enjoying an astonishing sunset directly from the pool. The food was delicious and the chief cook a cordial man. Anyhow everyone working here was welcoming and serving us with heartfelt quality. The treatment ladies where the TOP of it. Nice, friendly and very talented. And we all felt kept well by the doctor. I can absolutely recommend this resort. Just stayed there for 4 nights, and had great experienced first Ayurveda and relax. Food is also changed every days, and good taste. (to be honest, it’s really healthy and Ayurveda food… 🙂 If you’d like to have yoga and go outside, manager always happy to coordinate them for us anytime. 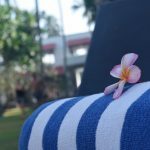 Our stay at the Privilege was a wonderful conclusion to our time in Sri Lanka. Would definitely recommend a stay here to anyone after tranquility, relaxation and pampering. The grounds are beautiful: shady lawn, beautiful pool, and palm tree dotted sand lapped by the Indian Ocean. The food was plentiful, healthy and delicious and the service exceptional. The Ayurvedic therapists were very experienced, warm and caring. A very special experience. From entering through the gates you can see this is a very peaceful place. 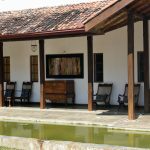 The drive is lined with lush trees and a beautiful garden and we received a very nice welcome from the manager and staff and the best welcome drink we got during our stay in Sri Lanka. The layout of the hotel is comfortable and stylish and the rooms offer a really nice boutique feel! The hotel has a great pool and is right on the coast meaning you can walk down to the beach and swim in the Indian Ocean or sit in the pool and watch the waves. The food was fantastic, very healthy and delicious also. The Privilege is a wonderful hotel which offers a beautiful setting to escape you leave feeling truly relaxed! I would certainly recommend it! I can’t think from where to start….this is an absolute heaven . The hotel is right on the beach yet has a huge green garden with all kinds of herb, fruit n a vegetable plant. 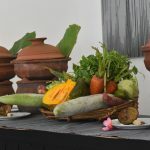 Which is also great bcos you get to go pick the vegetables with the chef on a day or two … Quality of service is like non IV experienced before.. for an Ayurveda resort this hotel has world class hospitality. Threatments doctors attention and the therapist are just great.Yoga in the morning overlooking the sea to the sounds of the waves crashing is a experience second to non. They live up to the true sense of authentic Ayurveda.. the management and staff are very helpful explains everything. Rooms are very every spacious clean the food and restaurant is great.. very friendly chef. Hotel offer free excursions which we took use of and was a nice experience. If you are looking for a quiet private place with authentic Ayurveda to get results fast this is the place is Sri Lanka.two thumbs up. My husband and I stayed for two weeks ( you do need two weeks !) and we really did benefit from the experience with wonderful treatments and massage — your day is pretty full ! 3 plus messages a day ! 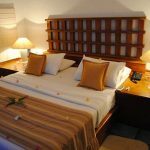 wonderful location on the ocean and amazing pool – the staff are ALL SO FRIENDLY and helpful – my husband suffered a back problem there and he was given such care and attention – the food is very good and the cleanliness of the bedrooms is exceptional – i would recommend this hotel . We stayed at the Privilege for two weeks and enjoyed it very much. The food was excellent; healthy, tasty and variable made from fresh vegetables and fruit. The Ayurvedic Massage therapists and the doctor were both professional and friendly like the rest of the staff. The hotel offered sightseeing for free and airport pickup at reasonable price. We dream of coming back. The ayurvedic treatment was very professionnal with very good massages and very sure with the daily presence of the doctor. Very good food with local fish and vegetable bio directly from their garden. just to thank you for such a wonderful stay with you for the last 2 weeks! We enjoyed everything, the treatments, the room, the food and the guests. Also we would like to thank again: the treatment staff, the cooks, waiters, cleaning staff, yoga teacher, they were all lovely.